Poor Mazda. The Japanese carmaker tried for more than two decades to sell Americans a small utility vehicle, but no one cared. Remember the Navajo, a rebadged Ford Explorer two-door that debuted for 1991? Neither do we. Mazda followed up with the Tribute, another rebadged Ford. Like the Escape it shared almost every part with, the Tribute was a fine vehicle in its day, but Ford’s marketing machine made sure its version always far outsold Mazda’s. Then came the CX-7. Sure, it was sleek, but it couldn’t decide if it was a compact crossover or a mid-size crossover. Consumers were clear on one thing, though: they didn’t want it. Actually, they didn’t even know it existed. So Mazda watched enviously as the small-crossover segment grew, dominated by the Escape and the Honda CR-V and the Toyota RAV4. 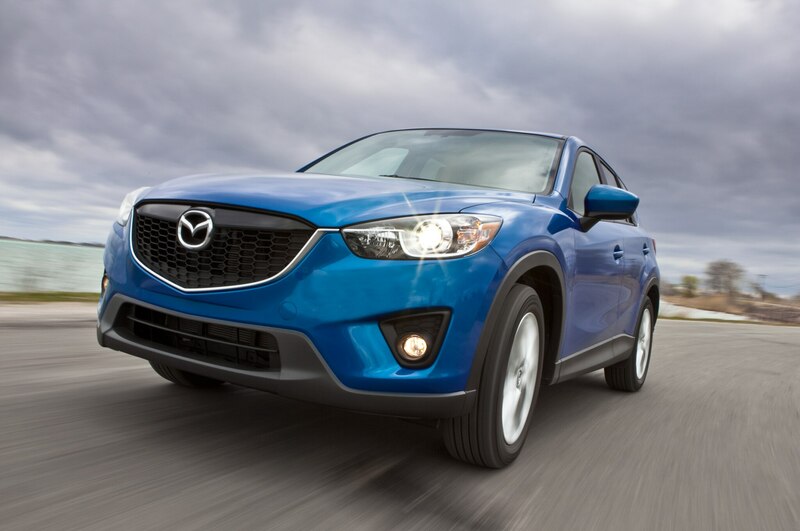 Then, for 2013, Mazda brought out the CX-5, and the skies cleared. The CX-5 is a Mazda through and through, engineered without help from Ford or anyone else — and with a blank-sheet design, too. Moving from the Nagare styling language to the more reserved Kodo, the CX-5 is far better looking than any of its predecessors. It drives better, too. 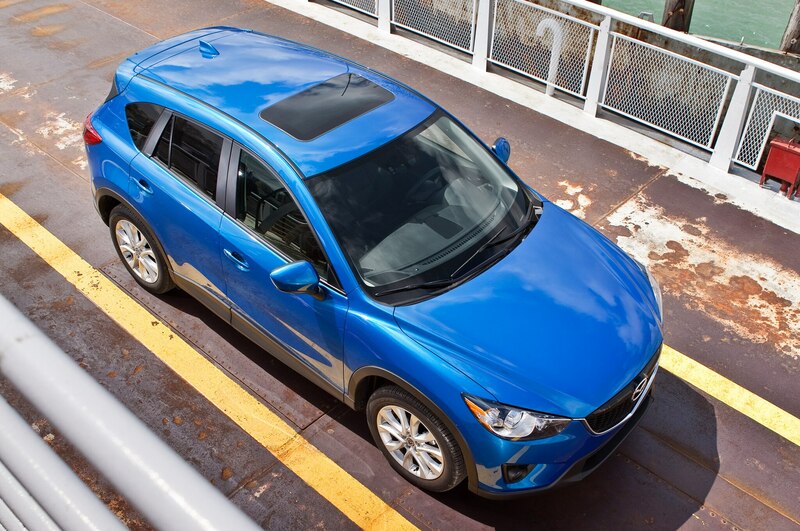 It doesn’t just steer and handle well for a crossover — it steers and handles well, period. Mazda finally has a winner in the compact-crossover segment, and we couldn’t wait to spend a year with one. 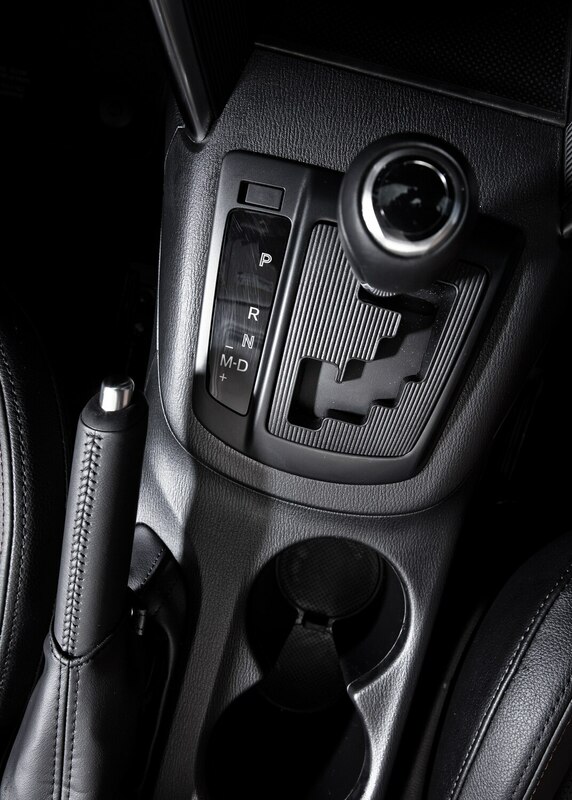 Right now, you’re probably wondering what we wondered: does Mazda, the Japanese automaker that’s all about frisky and fun-to-drive cars, offer a manual transmission in the CX-5? It sure does, but only with the most basic trim level, Sport. 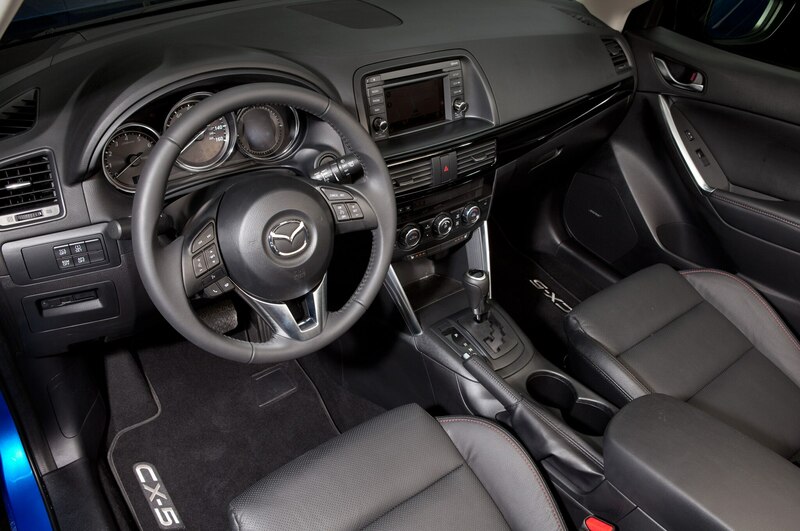 It’s hard for us to fall in love with a long-term car with cloth seats, and we wanted to give Mazda’s first “real” crossover the best chance it could to impress us, so we ended up with a six-speed automatic transmission when we opted for a Grand Touring, the highest trim level available. For 2013, Mazda offered only one engine — a 155-hp in-line four-cylinder — so we didn’t have to debate powerplants. 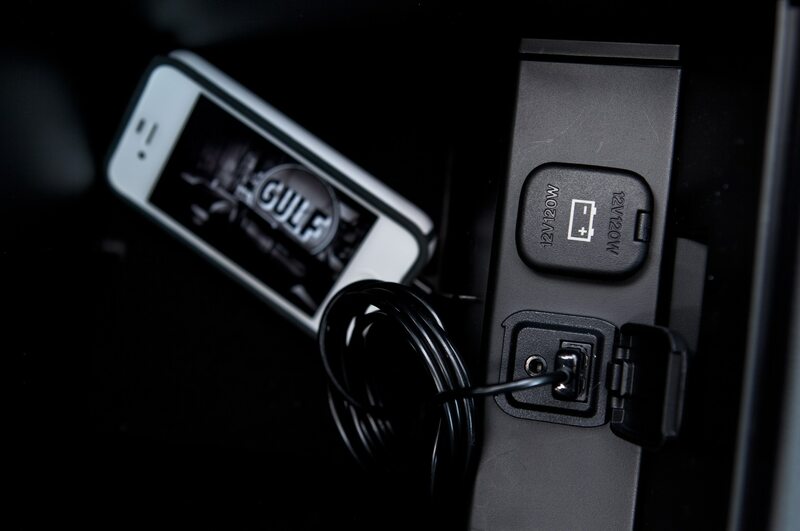 We tacked on the $1325 technology package, which adds navigation, swiveling HID headlights, passive entry, an alarm, and an auto-dimming rearview mirror. When our $29,165 CX-5 arrived, we were happy with our choice. 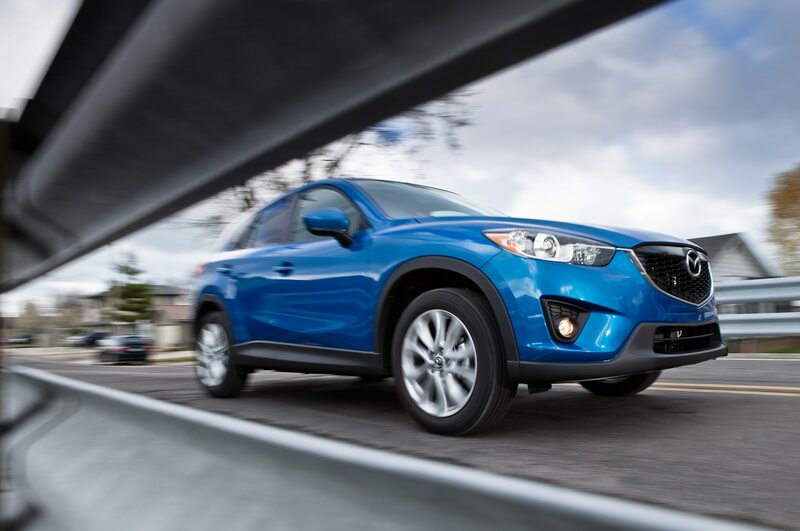 From its squat stance and sharp lines to its rounded fenders and furrowed brow, the CX-5 looked great from every angle, especially in sky blue mica paint. 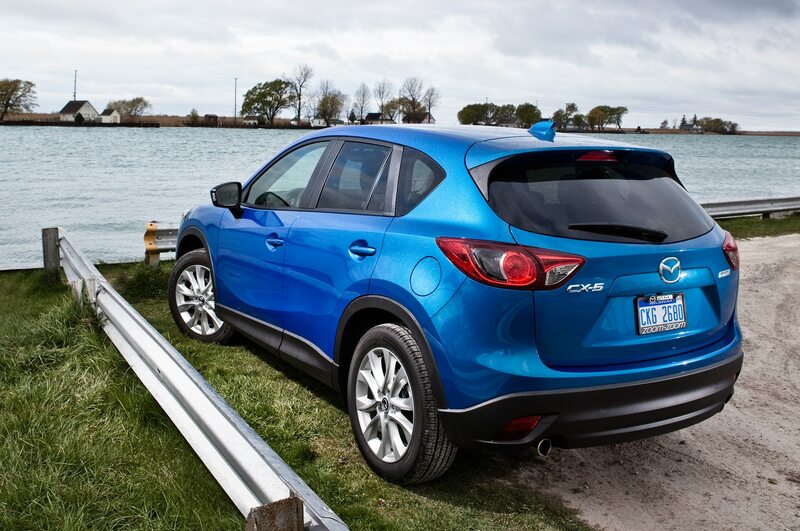 “What a sweet package Mazda has created,” we thought. Then we opened a door. The interior is as interesting as an accounting ledger. It feels as no-nonsense as a Volkswagen cabin, dominated by straight lines and geometric shapes. But, like Volkswagen, Mazda does a good job with minimalism. 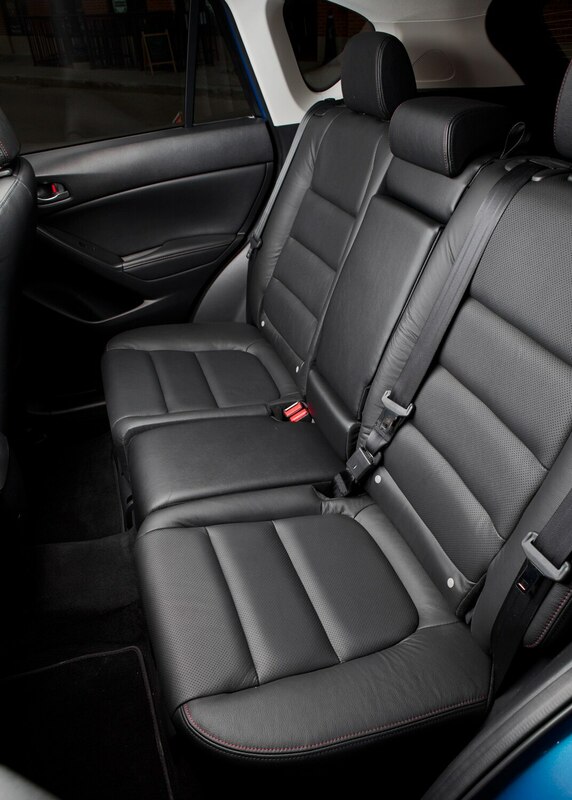 Piano-black dashboard trim, aluminum door-panel accents, and well-placed soft-touch plastics give the modest interior a more upmarket appearance. 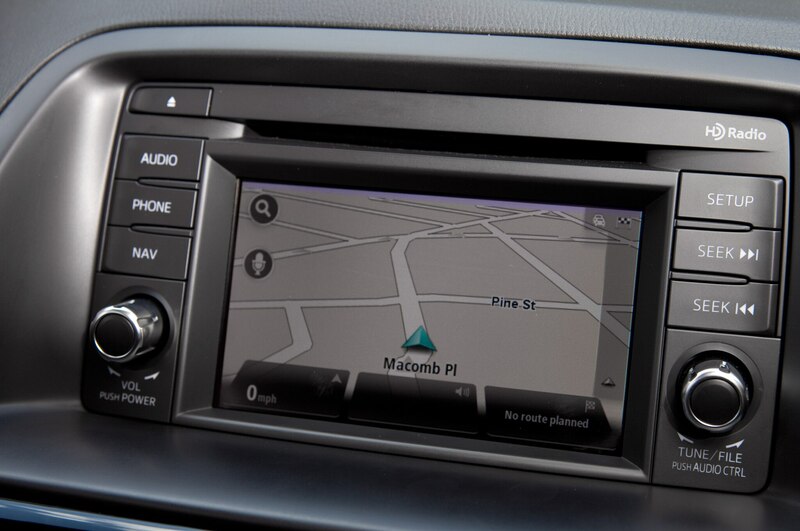 Still, we couldn’t shake the feeling that a $29,000 car should be more distinctive inside. “The interior should be as special as the exterior,” said associate web editor Jake Holmes. “Get rid of some of the dated touches, would you, Mazda?” Start with the digital clock with the bright-orange readout that looks like the display on a 1980s Casio watch. 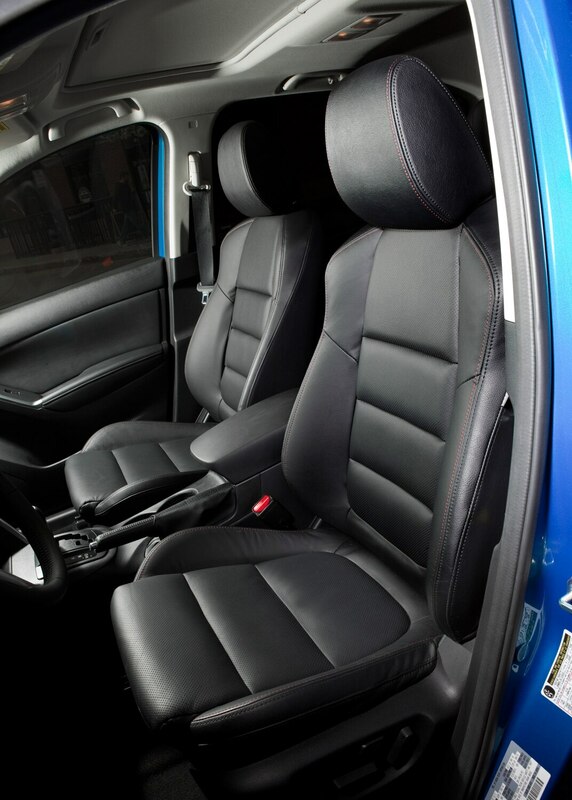 A few editors also questioned the interior’s durability, but it wore like iron during twelve months of hard use. Only the cargo area showed wear, and that’s because we continually hauled stuff in it. “The practically shaped cargo hold is bigger than it looks,” noted senior editor Joe Lorio after he folded the rear seats and squeezed a retro La-Z-Boy recliner in the back. Marginally powered, indeed. 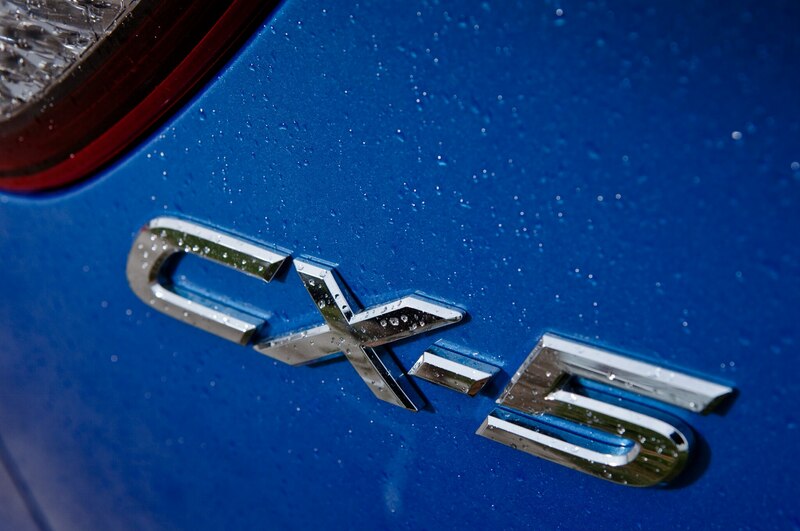 The CX-5 takes 9.6 seconds to get to 60 mph and turns a quarter mile in 17.3 seconds at 80 mph. On the excitement meter, accelerating flat-out from a stop in the CX-5 falls somewhere between clipping toenails and coaching T-ball. Weirdly, the engine makes a lot of racket for how little it’s doing. It didn’t help that our car’s eco-geared automatic transmission urgently shifted to fifth or sixth gear in an endless pursuit of better gas mileage. It annoyed us most during highway passing maneuvers when the throttle body was wide open and the transmission had to drop down to grab third or fourth gear. The fact that we consistently experienced jolting downshifts, something our dealership couldn’t replicate, made the whole experience worse. While the engine is just fine in suburbia, “it sounds like a sewing machine on the freeway,” noted managing editor Amy Skogstrom. No surprise, then, that Mazda is dropping a more powerful 2.5-liter four-cylinder into the engine bays of all but the base (Sport) CX-5 for 2014. 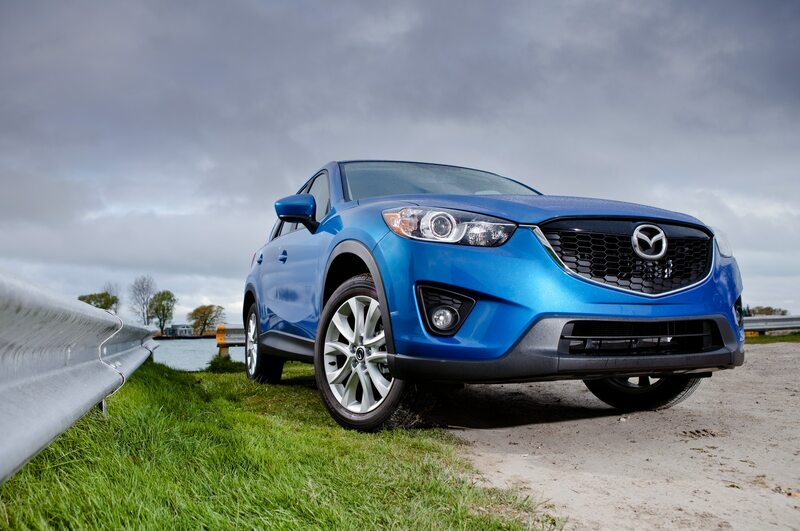 Our powertrain gripes didn’t keep us from taking several long trips in the CX-5. We drove to Boston, New York, Cape Cod, Louisville, Nashville, southern Indiana, and northern Michigan, and the car’s fuel economy was pretty good. 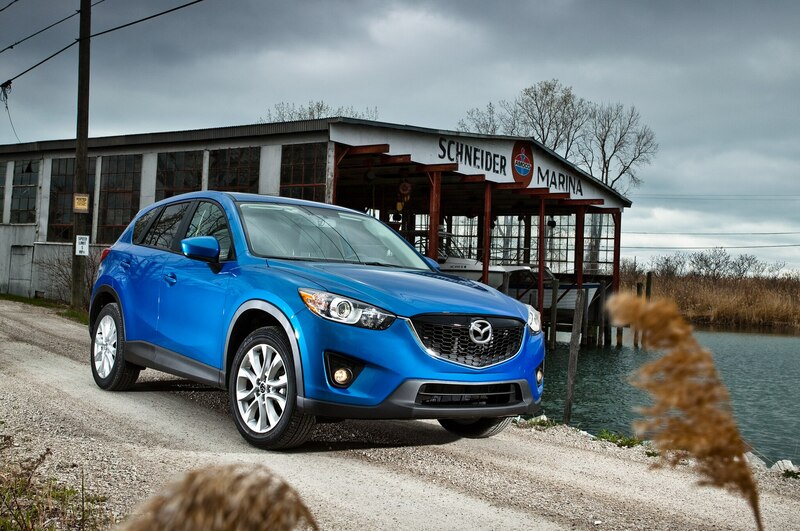 The CX-5 averaged 27 mpg — 2 mpg fewer than the EPA’s combined estimate. 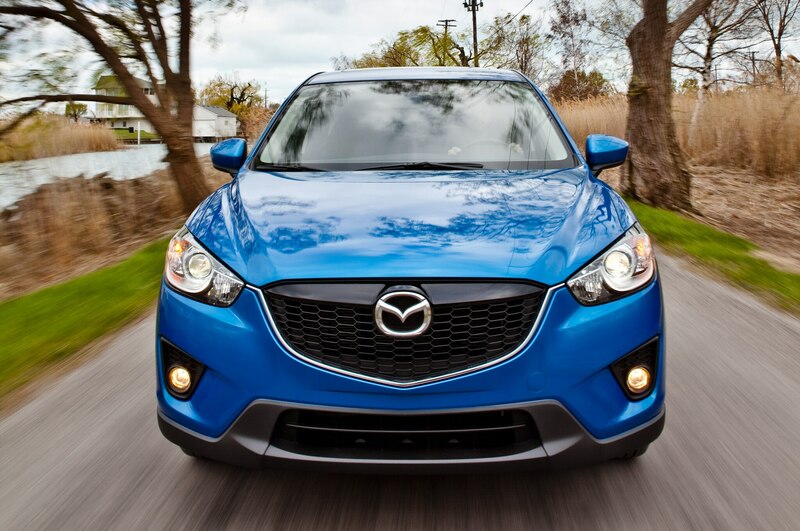 Blame our aggressive (we say “necessary”) driving style, but that’s still not bad for a crossover. 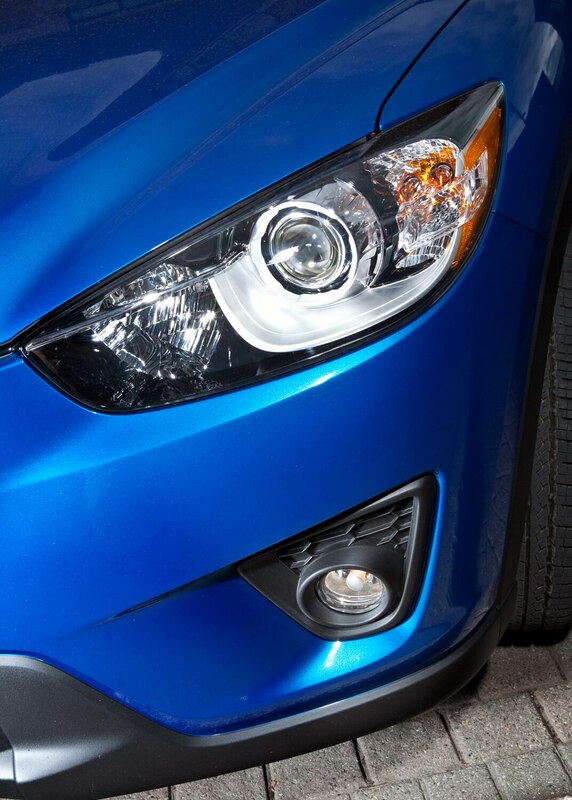 We would’ve taken the CX-5 on more vacations if it weren’t for a stint in the body shop after we hit a deer head-on. The repair bill came to $9891.59 — $6120.15 in parts, $3407.60 in labor, and $363.84 in tax. Aside from that unfortunate incident, the CX-5 had just two unscheduled service visits: one for new brake pads on all four wheels and one to remove bits of gravel that were rattling around on a rear control arm. 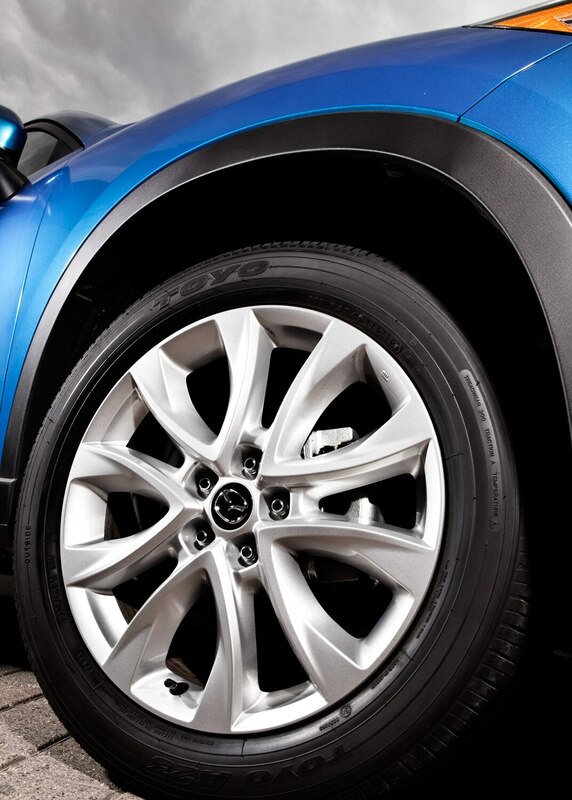 Otherwise, over 24,039 miles, the CX-5 was a peach, so much so that we named it to our 2013 All-Star team. Even Kitman, who generally hates utility vehicles, admitted that he was impressed. “If you think you need a crossover (and if you think you do, you’re probably wrong, but whatever), you can’t do much better than this.” It had a few shortcomings, but the CX-5 entertained us every time we hit the road. Here’s a car that sits in the middle of a dense pack of competitors and manages to not blend in. 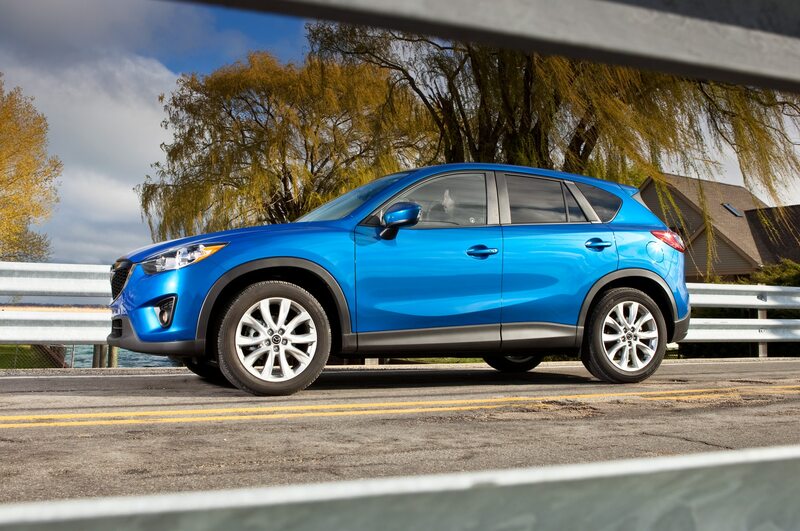 It’s the Mazda crossover we’ve wanted for more than twenty years. Alas, it’s not so bad to be Mazda anymore. But pity those that have to compete with the CX-5.